Fundbox is an online lender that makes cash available to entrepreneurs who are in need of interim financing. You can quickly apply for a line of credit or invoice financing for as much as $100,000. Borrowers rely on Fundbox when they need access to funds as quickly as the next day. Fundbox has helped entrepreneurs, small business owners, and freelancers optimize their cash flow. Are Fundbox Lines Of Credit Right For You? When Is Fundbox A Good Choice? When you are approved for a line of credit (LOC) from Fundbox, a preset dollar amount is made available as a loan to you. The interest rate for the line of credit is predetermined and set forth. You can draw out money as needed to operate your business or for any reason, and interest is paid on the entire loan amount. Fundbox is the lender, and weekly repayments are made to the company in set increments. All terms of the loan are set forth in the loan agreement. Invoice factoring is an alternative that may be appropriate in some situations, such as when your business has a large amount of unpaid customer invoices. Fundbox’s invoice financing allows you to borrow money; you will get 100% of the value of the outstanding invoices. You are in effect getting paid in advance as you wait for your customers’ payments. This is made available to customers who are in the business-to-business (B2B) market sector. As a business owner, there are times when you need cash quickly. Fundbox makes it easy to apply online, and you can be notified of your approval in minutes. Fundbox will arrange to get you the money in as little as one business day. You will not have to wait for days or weeks as you might with many other lenders. Depending on the loan amount, a personal guarantee may not be required. Many customers choose Fundbox after they have had trouble getting approved for a loan from a traditional financial institution. That’s because Fundbox makes it easier to qualify for financing. If you have been unable to meet the financial requirements for a loan, a line of credit from Fundbox may be the right choice for you. You are required to be in business for at least three months and your company’s annual revenue should exceed $50,000. There is no need to provide proof of collateral. When you select invoice financing, be prepared to make equal repayment amounts over a 12-week or 24-week period. In the case of a line of credit, weekly repayments are required to be made for up to 12 weeks. The lender will grant loans ranging from $1,000 to $100,000. The APR (annual percentage rate) will vary. With invoice-factoring financing, rates start from 10.1%. APR rates for a line-of-credit loan start at 10.1%. You won’t pay application fees with Fundbox, but there is a fee based on the amount of the loan. 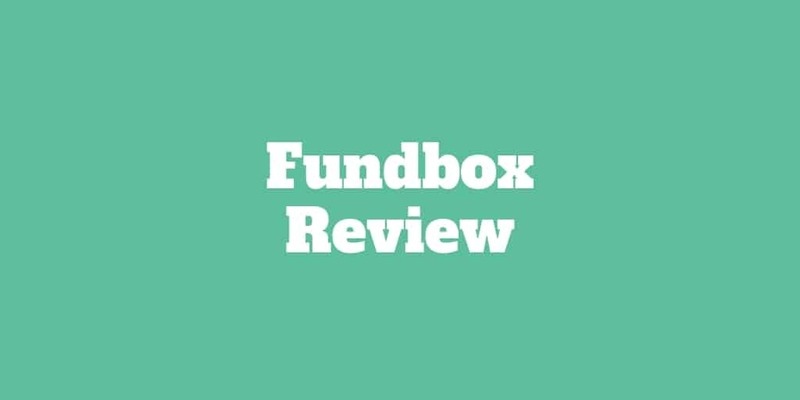 To keep track of all transactions, Fundbox provides a customized dashboard. Repayment of the loan must be completed in 12 weeks unless otherwise noted. The lender will automatically deduct the payment amount from your bank account each week. Fundbox requires that customers have a business checking account. Financing solutions are suitable for short-term financing to help business owners manage cash flow. There are no prepayment penalties, so you can save a lot of money if you are able to pay off the loan faster. In order to qualify for invoice financing, your company must be based within the United States or within a U.S. territory. If you’re looking for a loan for your business, you’ll need to weigh the pros and cons before deciding if a Fundbox loan is right for you. There are many positive reasons to obtain financing through this lender. For instance, the online application process is easy and free and the qualifying requirements are less stringent than most other lenders. Newer business owners have an equal chance to qualify even if they have only been in operation for a short period of time. Fundbox can help you get the cash you need quickly, and the money will be directly deposited into your account for your immediate use to grow your business with no questions asked. Bad credit will not be a deterrent in most cases. There are also reasons why their services may not be right for you at this time. The first consideration is the high cost of borrowing money. The APR rates can end up being as high as 79.8% and the repayment duration can be as short as 12 weeks. So, each weekly payment could be high. Another possible drawback, depending on your situation, is that financing obtained through Fundbox cannot exceed $100,000. If you need to look elsewhere, Kabbage, SmartBiz, OnDeck, and Funding Circle are all solid options. A Kabbage business loan can be an alternative form of financing for some borrowers with up to $250,000 available. Like Fundbox, it is designed for those who need capital for their business quickly. Borrowers can apply online, and the application takes only a matter of minutes to complete. Same-day approval is offered in most cases, and you can have access to the money in only a few days. The repayment period is longer and will generally range from 6 → 24 months. People with problematic personal credit can get approved more easily for a Kabbage loan. You should anticipate that the APR for a Kabbage business loan can range from approximately 24% to 99%. Another alternative loan option is a SmartBiz loan. It offers an alternative way to obtain a Small Business Administration (SBA) loan. The allowable loan amount ranges from $30,000 → $350,000. This can be a suitable alternative for owners who are looking to refinance existing business debt or for those who are planning business expansion. The repayment period of a SmartBiz loan may be 10 years and the borrower must have an established business. Upon approval, the money becomes available in several weeks, but in some cases, it can be sooner. OnDeck business loans can be another choice when you need money quickly. A customer can apply online or over the phone. It is fast and convenient and takes about 10 minutes. The APR for an OnDeck loan can vary from approximately 16.7% to 99.4%. The funds are available fast, typically within 24 hours. At a time when unexpected expenses arise, borrowers may opt for this type of loan because money is quickly accessible to them. If your credit is less than perfect, it is sometimes easier to be approved for an OnDeck loan versus other traditional loans. >> Related: Are Quarterspot Business Loan A Fit For Your Business? Funding Circle business loans connect small business owners with investors who are willing to assist them with financing. Borrowers are expected to have a good credit rating and an established business with at least two years in existence. Loan limits range between $25,000 → $500,000. The current APR for a Funding Circle business loan is from 10.91% to 35.5%. The loan terms range from one year to five years and funds are usually made available in about 10 days. If you need the money in less time, other online lenders may be the better choice. There is an easy application for Funding Circle loans, and borrowers can get approved quickly. Plus, no prepayment penalties apply. If a business owner requires only short-term financing, the investors get paid back quickly. Fundbox has gone to great lengths to simplify the loan process for its customers. The application is simple to follow regardless of which loan products you select. And the loan terms for line-of-credit financing as well as invoice-factoring financing are straightforward. It’s not an understatement to say the company has made the process of qualifying for a loan one of the simplest in the industry. However, Fundbox alternatives are available, though many charge higher APRs. Rates for a line of credit up to $100,000 are competitive. Fundbox offers direct deposit of your funds, and your account will be credited within one business day. Invoice factoring is an effective way to collect on your invoices ahead of time. If you are in a B2B industry, you already know how quickly these amounts can add up. Fundbox provides you with the cash you need well before an invoice gets paid. You can review your account anytime on your dashboard. With no fee or penalty for prepayment, the term of your loan with Fundbox can be shortened. In the meantime, you have the cash you need to run your business. Most customers are small business owners, and they rely on Fundbox to deliver on its promise to provide money when they need it most. As impressive as this lender is, Fundbox may not be right for everyone. The one drawback is that rates are higher than they would be at a traditional financial institution. So, if you’re able to find a lender who offers you a lower APR, that is probably going to be your best choice. Otherwise, a loan from Fundbox may be the best choice for you and your growing business. ‹ Amazon Business Review – Exclusive Discounts!